Worateera Suvarnsorn, Director of Thailand Film Office, Department of Tourism and Sport. Worateera Suvarnsorn currently holds a position as a Director at the Thailand Film Office. She earned a Bachelor of Communication Arts, Bangkok University, Thailand in 1993. And earned Master of Business Administration (Marketing) from National University, USA in 1996. She has worked in various positions in film industry. started from 2007-2014 she worked as a chief of film business promotion section. 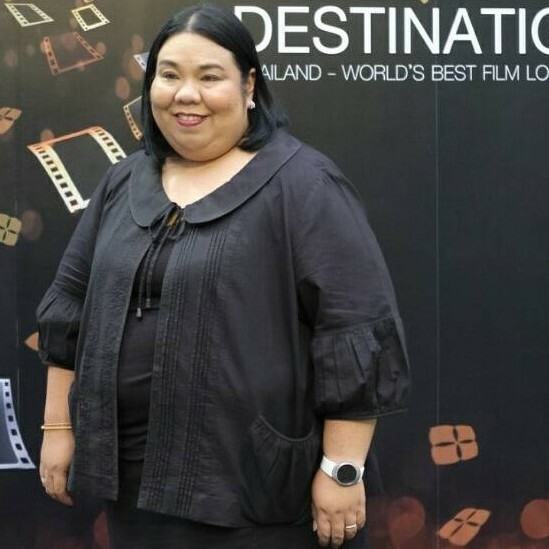 and before becoming a Director of Thailand Film Office She was serve as a chief of academic and Tourism Business Protection Fund Section, Bureau of Tourism Business and Guide Registration, Department of Tourism.